If you were asked where the rarest bears on earth lived, would your first guess be an hour’s drive outside of Rome? That wasn’t our first guess, either — but it’s the truth, and these bears are fighting to survive against seemingly insurmountable odds. 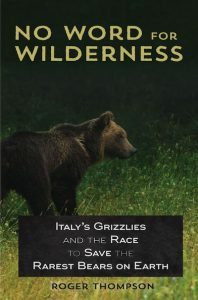 Author Roger Thompson has documented their struggle in his fascinating new book, No Word for Wilderness: Italy’s Grizzlies and the Race to Save the Rarest Bears on Earth. Q: How did you come up with the idea for this book, and how long did it take you to write it? Did you have a special routine or place in which you wrote? A: The initial idea for the book came after I first visited Abruzzo to find out about the bears. After being in Italy and hearing their story from people there, I felt the story needed to be told. 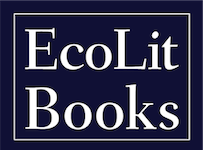 The book, though, has changed during the process of researching and writing it. It has been a project that has shifted and changed over a six-year period, but the actual first draft I wrote in six months. I’ve done most of the writing at home, but I did do a fair bit in Italy as well as in Minnesota at a cabin where my family has vacationed since I was a child. Q: Why should we care about these particular bears? A: We should care because unlike most grizzlies, these particular brown bears have evolved alongside people, growing with communities over a millennia, and thus have adapted to life with man — and locals in Italy have adapted to the bears as well. The result is a remarkably symbiotic and peaceful relationship — a thousand years and no attacks. Q: How many are there, and why are you concerned about them? A: The best estimate is between 40 and 50. Some say it may be down to 30. Others say it may be higher. One former park director insists that until recently, there were at least 100, but there is no credible evidence of that. It’s clear that these bears are at a pivotal juncture because of new pressure on their habitat. A: It’s mixed, but at the heart of it is organized criminal activity — some believe (and I think it likely) that it is mob activity. The bears live in a region that is highly valued for its agricultural potential — specifically, it’s valued because it presents great opportunity for cattle grazing. While that may not seem important, cattle grazing in Italy enjoys significant subsidies from the EU. Those subsidies are what organized crime is interested in. The bears, though, are in the way. 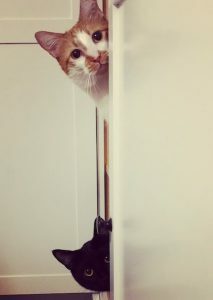 Q: How are they in the way? A: The bear population lives primarily in Italy’s national parks in Abruzzo. Those parks have prime grazing lands. They also have almost no resources for enforcement of park rules and regulations. So, mafia can essentially underwrite people to come in and graze cattle on the parkland. As they do so, they come into contact with the bears. Q: What happens with that contact? Is it dangerous? A: No. Hardly, anyway. There are few, if any credible, reports of bears attacking cattle. There are no attacks on humans. These bears have an almost 100 percent vegetarian diet. And yet, the new land grazing interests have a habit of poaching and poisoning the bears. Q: How is this being combatted? A: Well, the key thing right now is that scientists are amassing huge volumes of data to demonstrate definitively how special these bears are and why they should be protected more aggressively. That data is the foundation of activism by a group of conservationists and scientists. It is, however, a race against time. Without international pressure, these peaceful bears and their local advocates have little chance in preserving the animals. Learn more about No Word for Wilderness here. Roger Thompson is an award-winning nonfiction writer and director of the Program in Writing and Rhetoric at Stony Brook University. A former wilderness canoe guide for a Minnesota camp and the founder and director of an environmental program in Banff, AB, he currently lives in New York with his wife and son. No Word for Wilderness is now available; visit Roger’s website and Facebook page for tour dates and events.